Ruby tells the story of The Family, from the day at the end of the nineteenth century when a travelling French photographer catches frail beautiful Alice and her children, like flowers in amber, to the startling, witty, and memorable events of Ruby's own life. This was a splendid family saga, perfectly blended with laughter and tears. Anyone who doesn't love Ruby must need a heart transplant; she is so funny and endearing. 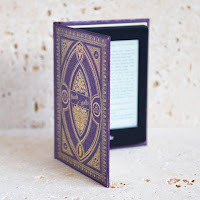 What is so strange is that I couldn't tell you what the story was about but I was so immersed in the family that I was just enjoying being along for the ride. One thing I do have in common with Ruby is my dream of humans evolving into a species with earlids! Set in the wonderful cobbled streets of York, we are introduced to the Lennox family. Bunty and George have a family of girls but are anything but happy in their marriage. As footnotes to each chapter we are treated to flashbacks to Bunty's family history as we look at the life of Ruby's grandmother, Nell. I loved the way that certain possessions were passed down through history and each item had a story behind it. I was reminded of the phrase 'one man's junk is another man's treasure' as something that could have very little monetary value can have great sentimental value in the right hands. 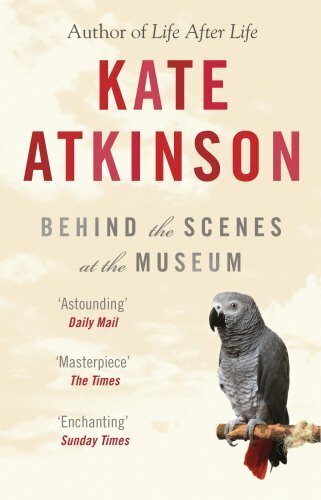 This is my first Kate Atkinson book but I know for definite that it will not be my last. Behind the Scenes at the Museum is a book that drew me in from start to finish and I just didn't want it to end. Kate Atkinson is a master storyteller and has written such an easy reading book that that it is hard to believe it was a debut novel. I'm looking forward to reading more from Kate Atkinson as I think she will go on from strength to strength. I received this book from the publisher, Black Swan, as a prize from a Twitter competition.